In August 2014 The Deer God had a successful Kickstarter campaign, with its soundtrack and handsome pixel-based visuals catching the eye of 2801 backers. One of its successful stretch goals was for a Wii U eShop release, and now Mobot Studios - which has released multiple games on the store - is stepping in as publisher to help fulfil that target. 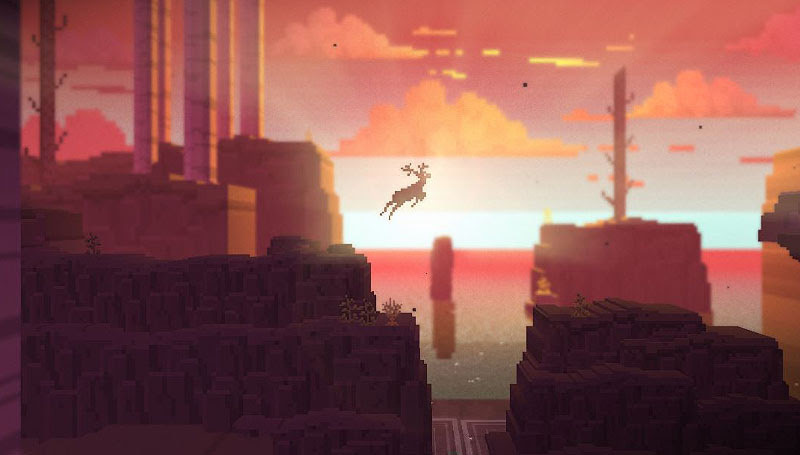 The Deer God places you in the role as the named creature, with exploration, platforming and combat all part of the experience as you work through different environments. There's a night and day system in addition to the ability to reincarnate as other animals, and combining all of these factors does promise much for this one. It's previously been released on PC, iOS, Android and Xbox One, and the Wii U version is coming this December. Check out the Steam trailer below and let us know whether this is going on your wishlist. First time I hear about this game and yes, it looks very interesting, will keep a lookout for release date. I played it on Xbox One and it's mixed bag. The visuals are sure very appealing, but the gameplay is really shallow. I had forgotten about this one. I backed the Kickstarter ages ago. The reviews of the PC version aren't that great so I can't say I'm eager for the Wii U version either. Maybe my daughters will like it. This hadn't hit my radar... I'll definitely track this from now on... I hope WiiU becomes a haven for indies seeking a less crowded console audience. The trailer was looking good until it mentioned this is a "procedurally generated adventure." Well the trailer doesn't really show what this game is about. I only see a deer running through the screens. Is there something else to it? And they really could've used more decent graphics, I don't like that pixely style (it may work for other games though). @Fath Wasn't sure what procedurally generated means, but a quick search says using algorithms to generate content. So does that mean programming less overall code, a kind of short cut? Are games generally less good because of that? Just wondering. @Sakura It more or less means levels/content designed algorithmically rather than traditonal levels/content designed by hand. I have the Alpha on Andorid already through a Humble Bundle, didn't play it yet. I played this on Xbox one it looks pretty but it's Gameplay is monotonous, you just run endlessly to the right there is no goal, no objective. It gets boring real quick. Not exactly game you want to play more than once. @Sakura Levels are built as you play instead of painstakingly (or creatively) designed beforehand. It's not a shortcut, since it's very complicated to make a good system. When you hear the term "procedural design," think Minecraft. The world always has the same elements, but the landscape is different every time you restart it. That means a level designer hasn't created an area you can explore with truly unique elements and gimmicks, but it also tends to mean more replay value since you're not seeing the same things and facing the exact same challenges every time. Got this for free on Xbox One and haven't touched it due to the reviews. @ACK @bro2dragons Thanks! Basically, suited to a different style of gameplay, but not necessarily a bad thing depending on how it's used. @ACK @bro2dragons @Sakura Yeah, there have been plenty of great procedurally-generated games; Minecraft, Terraria, Spelunky, Binding of Issac, and a whole genre known as "Roguelikes" come to mind. In this context, though, it seems like more of a red flag than an asset. It seems to me that procedurally-generated games thrive on having a large toolkit, say in level design space, obstacles and enemies or, er, literal tools, that can come together in an exponential number of novel and entertaining ways. 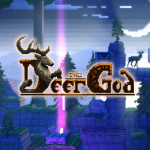 The trailer for this game doesn't really show much promise in that regard - this isn't the creative type of game like Minecraft or Terraria, it doesn't have the verticality of Terraria or Spelunky to play around with, and there's no (or little) concept of tools and items that Issac and most roguelikes run with. It's beautiful, for sure, but procedurally generating this game suggests to me that the game was made by a small group of passionate people who were inspired artistically, but just didn't have the same spark to pull off structured level design. Baseless conjecture on my part, of course. @Sakura Minecraft is procedurally generated, so not necessarily. It just means the game is never the same way twice because levels are created by an algorithm. Another procedurally generated game that's getting a lot of buzz (but hasn't come out yet) is No Man's Sky. Anyway I'm interested in this. Gonna have to see how it reviews! I really like the art style and music. I've never played a procedurally generated platform game before, though. @Fath @TheLobster It will be interesting to see how this turns out. I thought from the title it might be a hunting game! A platformer is more up my street. Will keep an eye out for reviews. Looking forward to Binding of Isaac when that finally releases in the EU on 3DS or Wii U. Procedurally generated level design seems a good fit for that type of game. I have heard very mixed things about this game which is a shame since it looks absolutely lovely. Will definitely wait for a review before making any decisions. Like others, I got it free on XBO and I really tried to like it but it was just not fun and broken. Hit the nail on the head! Procedural generated environments just can't match the quality of a level designed by a real person or person-like entity.